July 2017 — The last 12 months has been a story of increasing success for South Florida as the area has seen the growth of sectors outside of traditional areas of strength such as tourism and trade. Technology and healthcare are two areas among others that signal just how exciting Miami is becoming as an investment destination. Underpinning this growth is a robust banking center, which is one of the healthiest in the U.S., buoyed by a strong economy featuring a robust real estate sector and favorable regulations from the State of Florida. Miami-Dade follows the area’s positive trend in the banking sector and its top five banks all experienced an increase in assets in 2016. 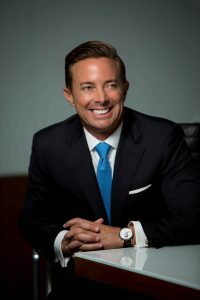 Among them is City National Bank of Florida, which recorded a $24.3 million net income in the first quarter of 2017, an 83 percent increase year-on-year. Capital Analytics spoke with President & CEO Jorge Gonzalez about growth in the region, changing demographics and the road ahead for South Florida. In which area of business do you expect to see the most growth for South Florida? Small business will continue to be the main economic driver in South Florida, and this is an underserved segment when it comes to banking. Our value proposition is particularly attractive to small and midsized businesses that really want a partner, not just a bank. There are various growing sectors in South Florida, including distribution, technology, healthcare and professional services. We see great opportunity there. Small businesses will continue to grow and expand as the economy continues to strengthen and we’ll see job growth and innovation across various of these sectors. What are the expectations of market performance for 2017? All signs so far in 2017 indicate that we are continuing to see a strengthening economy and low unemployment, and that is good for everyone. South Florida and Miami in particular continue to be the beneficiaries of international investment and while that has waned some with the strengthening dollar, we are still a highly desired destination for capital and investment. What regulatory frameworks do you want to see addressed? I wholeheartedly believe that banks need to be closely regulated, but that regulation should focus on the areas where there is risk and exposure. There has to be a prioritization of of regulation to focus on areas with the most risk. Technology is one area that I think we’ll see more regulation and that makes sense, because of the risks associated with electronic fraud. Information security and cyber security are emerging areas that banks and regulators need to be focused on. It is a new and quickly growing threat that needs to be managed very carefully. South Florida has a young population. How will this affect long-term products and services? Ultimately what we are building here is a global community bank, that is, a community bank that is focused on serving the marketplace it operates in, with a global perspective. We have a $40-billion Chilean parent company, Bci, and City National Bank is based in South Florida, which is home to people and companies from throughout the world. We are building a unique platform to serve them. Regardless of age, consumers are looking for the same things: relationships, excellent service and a diverse product offering. We are what I call and old-fashioned bank, with a modern twist, committed to those traditional values of building relationships and delivering an exceptional client experience and at the same time investing in technology so that our clients can interact with us in the way that they choose. We are also willing to build tailor made solutions for our clients. These are things that most banks are not built to do. Either they are too big to be personal or too small to invest in the systems and solutions clients need. The expectations of all clients are very high and we are constantly raising the bar for ourselves and working to anticipate client needs and wants. I am very bullish on South Florida. We’ve seen tremendous growth in the last 10-15 years and I expect the next decade will dwarf that. Miami is a brand that has tremendous national and international appeal, and it has emerged as one of the most important places for business in the world. But that growth comes with challenges and I think we all know what they are. Our infrastructure needs to be properly developed to support long-term growth. This is best illustrated by the traffic situation. Affordable housing is another area that we need to find innovative ways to increase the inventory. Companies want to ensure their employees have a certain quality of life and that includes being able to live closer to work. Education is also an area that we need to continue focusing on. Our public schools have made great strides, but more work is needed, particularly in the area of ensuring we provide opportunities for individuals to be productive members of our community. This is an area that City National Bank invests in with our community dollars, because we believe that educational opportunity and access has the biggest impact on the long-term economic development of our community. Our community has also seen a lot of investment in culture, from new museums to international art fairs, and this is something we need to foster more of, if we are going to continue to develop Miami into a cosmopolitan and global city.